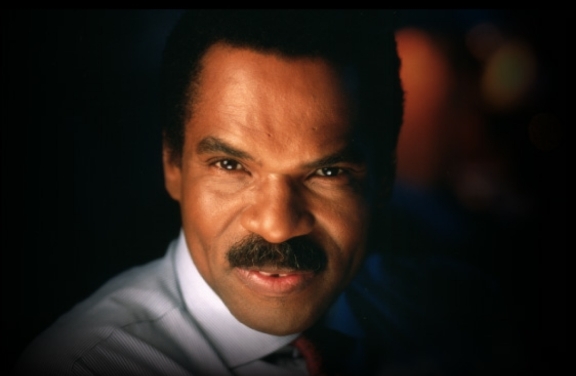 Reginald F. Lewis was born on December 7, 1942, in a Baltimore, Maryland, neighborhood he later described as “semi-tough.” Strongly influenced by his family, he began his career at the age of ten by delivering the local Afro-American newspaper. Fortune Magazine reported that “as a child, Lewis kept his earnings in a tin can known as ‘Reggie’s Hidden Treasure.’” The tin can had been given to him by his grandmother, who taught him the importance of saving some of everything he earned. Reginald later sold his newspaper business at a profit. During his high school years at Dunbar, Reginald excelled in both his studies and sports. As quarterback of the football team, shortstop on the baseball team, and a forward on the basketball team, he served as captain for all three teams. Reginald was also elected vice-president of the student body; his friend and classmate, Robert M. Bell (current Chief Judge of Maryland), was elected president. In addition, Reginald worked nights and weekends at jobs with his grandfather, a head waiter and maitre’d. In 1961, Reginald entered Virginia State University on a football scholarship, majoring in economics. He graduated on the Dean’s List despite having a rough first year academically as well as losing his scholarship due to an injury. After losing his scholarship, he worked in a bowling alley and as a photographer’s assistant to help pay his expenses. In his senior year, the Rockefeller Foundation funded a program at Harvard Law School to select a few black students to attend summer school at Harvard to introduce them to legal studies in general. Within two years of graduation, Reginald established his own law firm, the first African American law firm on Wall Street. He focused on corporate law, and he also helped many minority-owned businesses secure badly needed capital using Minority Enterprise Small Business Investment Companies (venture capital firms formed by corporations or foundations, operating under the aegis of the Small Business Administration). A desire to “do the deals myself” led him to establish the TLC Group L.P. in 1983. His first major deal involved the $22.5-million leveraged buyout of the McCall Pattern Company. Reginald nursed the struggling company back to health and, despite a declining market, led the company to enjoy the two most profitable years in its 113-year history. In the summer of 1987, he sold it for $90 million, making $50 million in profit. In October 1987, Reginald purchased the international division of Beatrice Foods, with holdings in 31 countries, which became known as TLC Beatrice International. At $985 million, the deal was the largest leveraged buyout at the time of overseas assets by an American company. As Chairman and CEO, he moved quickly to reposition the company, pay down the debt, and vastly increase the company’s worth. By 1992, the company had sales of over $1.6 billion annually, and Reginald was sharing his time between his company’s offices in New York and an office in Paris (most of the company’s businesses were in Europe). Even after his death, Reginald’s philanthropic endeavors continue. During his illness, he made known his desire to support a museum of African American culture. In 2002, the Vice President of the foundation read an article in the Baltimore Sun describing a museum of Maryland African American History and Culture slated to be built near Baltimore’s Inner Harbor. After further research and discussion, especially relative to the partnership between the museum and the Maryland State Department of Education to develop an African American curriculum to be taught in all public schools in the state of Maryland, the foundation made its largest grant to date to the proposed museum; $5 million dollars. The money is an endowment with the interest to be used for educational purposes.